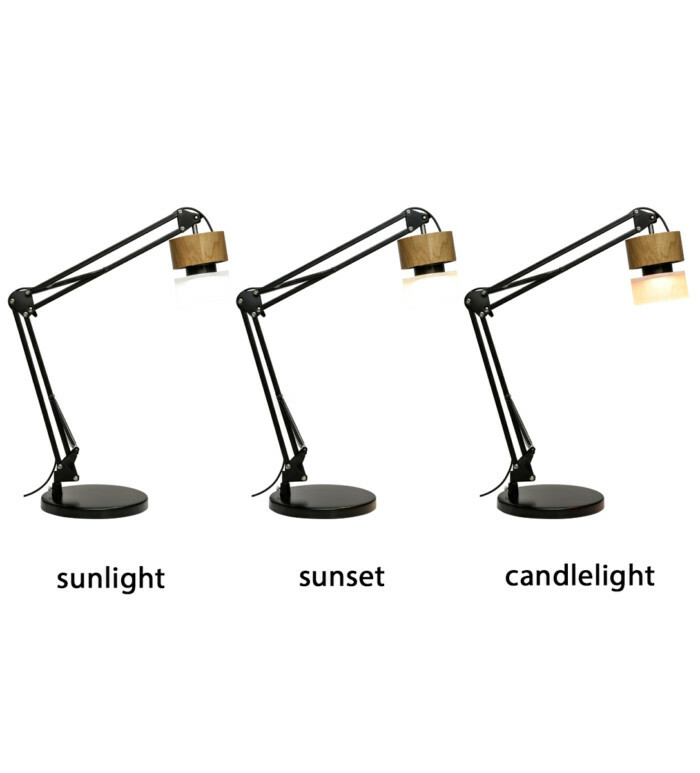 Experience bright light therapy at your desk with beautiful perfectly balanced natural light! 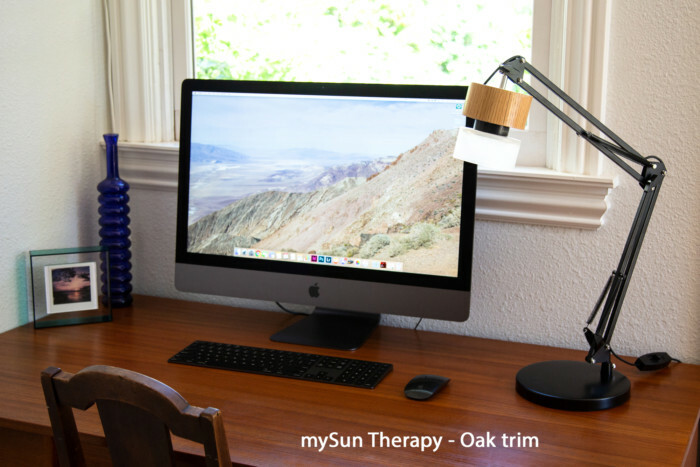 mySun Therapy delivers the benefits of natural light to support your mood, energy and sleep. 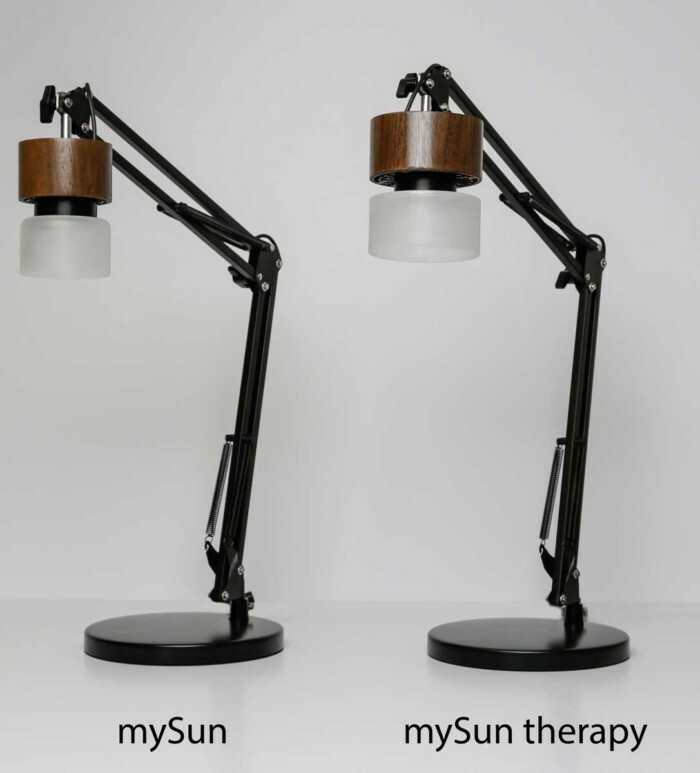 mySun Therapy delivers >10,000 lux with 50% more light than our standard mySun lamp. Unlike other light therapy products, mySun Therapy delivers powerful light therapy with beautiful natural light which automatically changes color and intensity with the time of day. Bring bright energizing sunlight to your desk during the day, experience sunset in the evening and work safely with candle light at night. 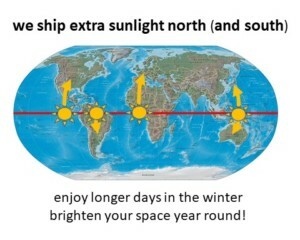 Regular exposure to the the daily cycles of natural light is critical for synchronizing our circadian rhythms, mood, energy, metabolism and sleep. 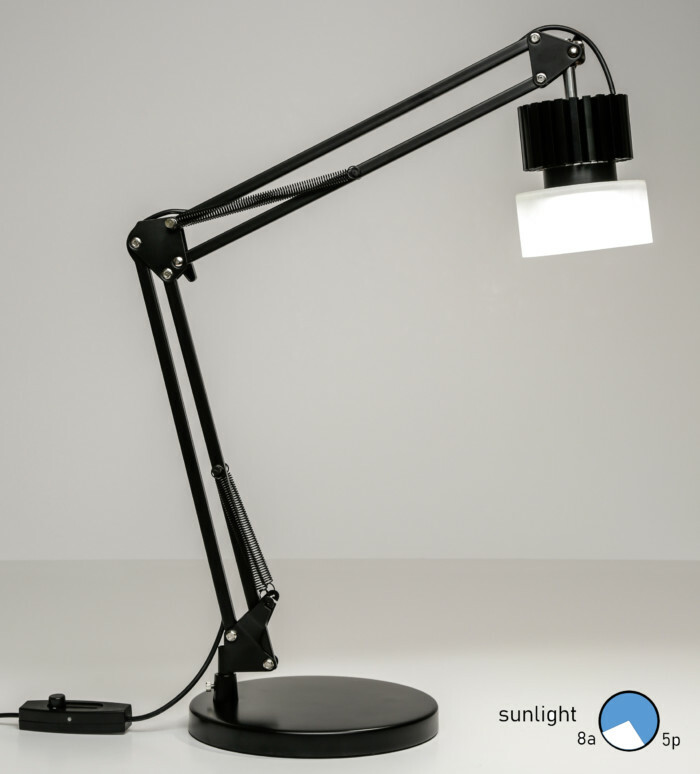 Because the light from mySun Therapy changes with the time of day, it can be used like an every desk day lamp, and is safe to use at any time of day or night. mySun Therapy brings the benefits of natural light therapy to desks, offices or anywhere you need focused light! 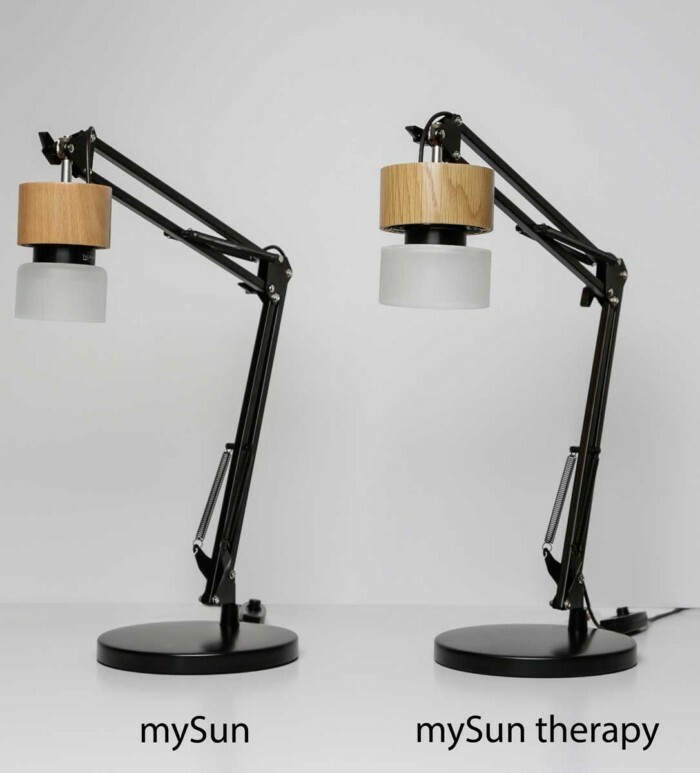 mySun Therapy = bring light therapy to your desk! safe to use when you have to work in the evenings or at night – use it like a regular lamp! 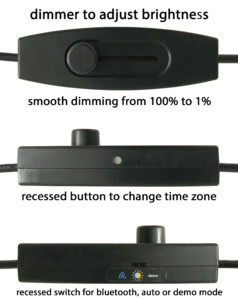 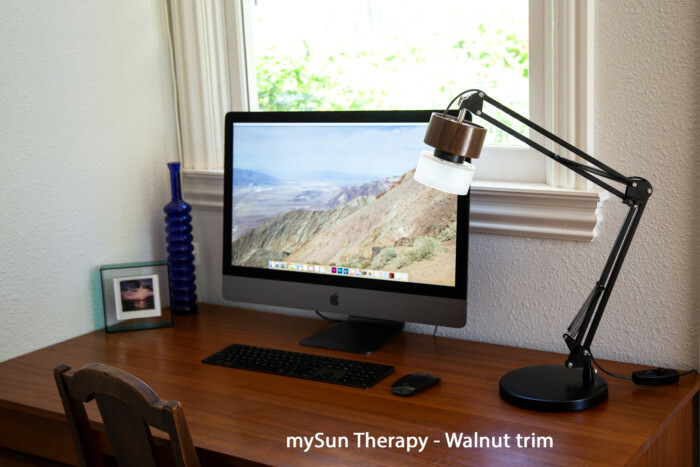 Our mySun Therapy lamp comes with a clamp for attaching to a desk or table. The clamp has a soft pad on the upper surface to protect the finish of the desk or table. 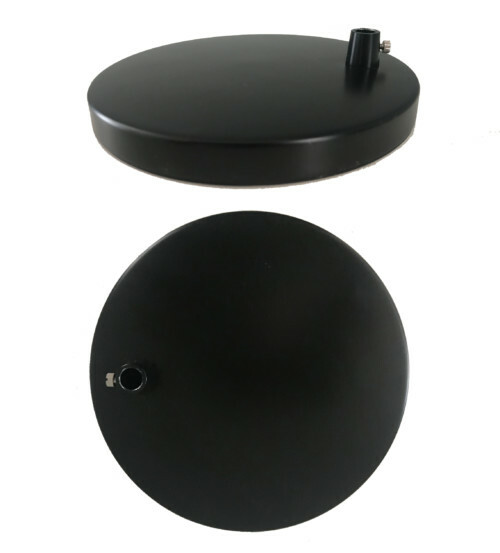 We also offer a standalone base as an option. The standalone base has a soft no slip surface to protect the finish of the underlying surface. 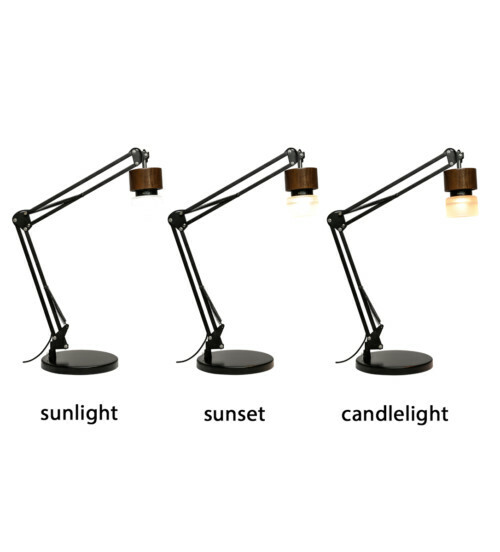 Choose the option which works best for you!